Apple did not offer an explanation for the apparent delay, saying only that "Carpool Karaoke: The Series will premiere on Apple Music later this year," reports Reuters. CBS Television Studios, Apple's partner on the project, offered a similar statement on Monday, saying, "We're excited about our 'Carpool Karaoke' for Apple Music, and look forward to everyone seeing it later this year." Apple first announced it was working on a spinoff of The Late Late Show With James Corden's "Carpool Karaoke" last July. 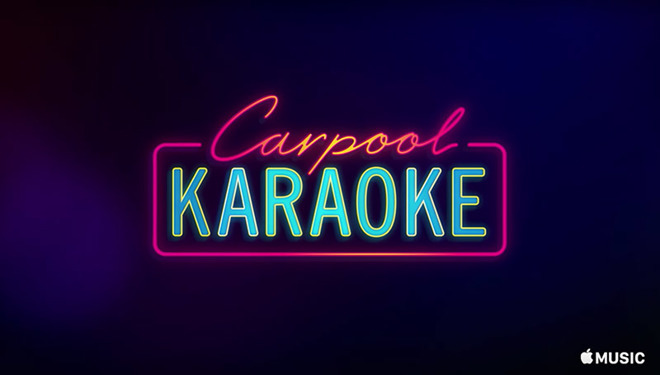 Similar to its namesake, the Apple Music version of "Carpool Karaoke" pairs musicians, actors, sports stars and other pop culture personalities together as they go on a road trip and listen to their favorite tunes. Apple lined up an A-list cast for season one, including Will Smith, Metallica, Chelsea Handler, Blake Shelton, Shaquille O'Neal, John Legend, John Cena, Ariana Grande, Game of Thrones co-stars Maisie Williams and Sophie Turner, and more. At the Code Media conference in February, Apple SVP of Internet and Software Services Eddy Cue said the series would be available for streaming on Apple Music sometime in April. He also debuted a trailer that teased a selection of the 16 celebrity pairings for the 30-minute long shows. The short ad also revealed a new Apple Music section called "TV & Movies" that will one day include both "Carpool Karaoke" and Apple's upcoming "Planet of the Apps" game-style reality TV show. For Apple, "Carpool Karaoke" represents a first foray into digital media content creation, an area that has seen tech firms like Amazon and Netflix thrive. With coffers full of cash, Apple was long rumored to enter the space. For now, the company is attaching its original programming effort to the fledgling Apple Music streaming service, a platform Cue says has the ability to cultivate pop culture. Whether the "Carpool Karaoke" delay also impacts "Planet of the Apps" is unclear.